1:12th scale. GRP/WM. 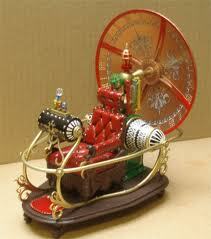 Multi media kit of the Time Machine from the 1960 movie starring Rod Taylor. Includes decals. Master model created by Ian(Stargazer)Walsh.